Elvis Presley performs "Girls! Girls! Girls!" From Movie. Girls! Girls! Girls! 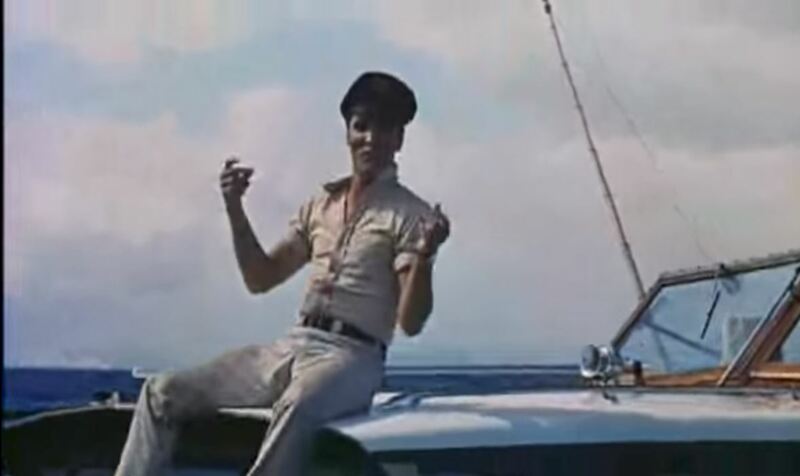 is a 1962 Golden Globe-nominated American musical comedy film starring Elvis Presley as a penniless Hawaiian fisherman who loves his life on the sea and dreams of owning his own boat. "Return to Sender", which reached #2 on the Billboard pop singles chart, is featured in the movie. The movie opened at #6 on the Variety box office chart and finished the year at #31 on the year-end list of the top-grossing movies of 1962. The movie earned $2.6 million at the box office. The film was the second of three films Presley shot on location in Hawaii. Girls! Girls! Girls! Girls! Girls! Girls!